Hop Bush (also known as Hopseed Bush) is a drought-tolerant shrub with an upright, branching form. It reaches a height of 12 feet with a 10 foot spread. Its willow-like leaves are 4 inches long. 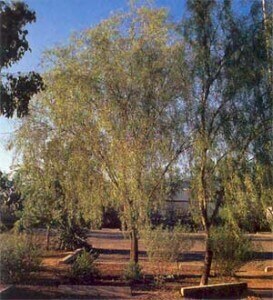 The foliage is a bronzy-green color that turns a reddish shade in the winter months. 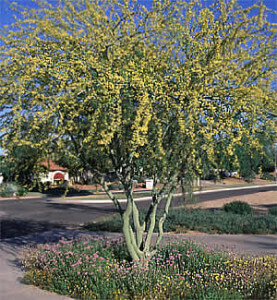 Small clusters of yellowish-green flowers bloom in the spring and are followed by winged seed pods. The winged seeds look similar to hops from which beer is made — hence the name. Plant hop bush in the spring or fall in full sunlight. 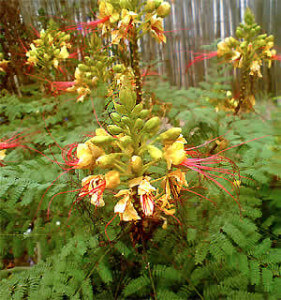 This shrub does best in soil with good drainage. 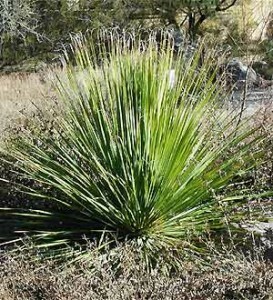 It has an upright growth habit that requires plenty of sunlight to reach its full height. The hop bush has an excellent, natural shape and seldom requires pruning. 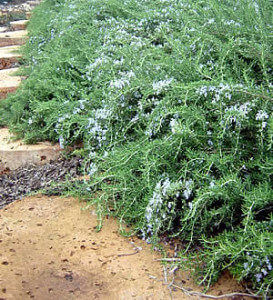 Only prune hop bush to reduce its size or to remove dead or damaged foliage in the spring. Water deeply once a month in the summer, and rely on rainfall in the winter. The leaves of the hop bush will become yellow (chlorosis) if watered too shallowly, or if soil drainage is poor.